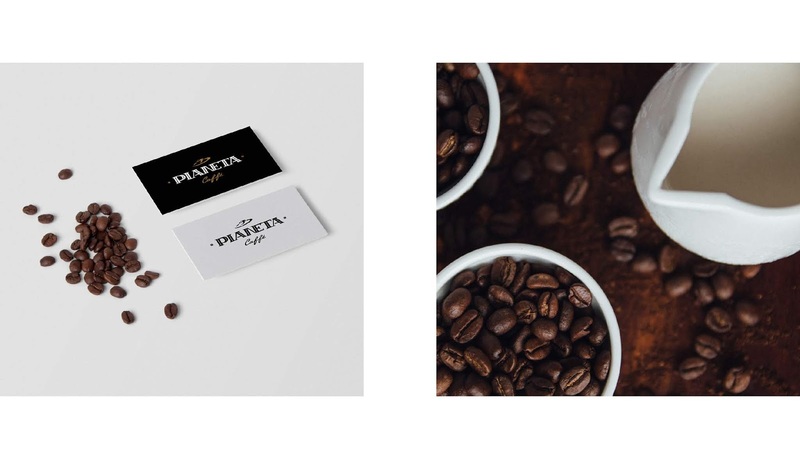 The name Pianeta (Italian - "planet"), that was suggested by us, fully corresponds to the brand positioning. Visually and phonetically it focuses on the country of origin and gives room for further creative solutions. The logo consists of the system of elements. 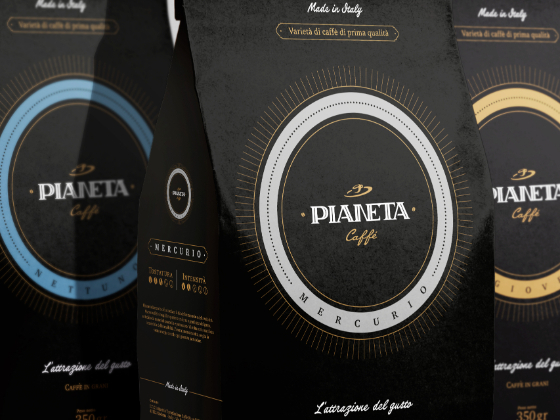 The lettering of Pianeta is made in the Art Nouveau style. Above the letters, there are a cup and a saucer, associated with a planetary rotation system. On both sides of the logo there are small coffee beans that frame it. The logo looks impressive on different media both being colorful and monochromatic. Symbolizing a great journey, the varieties of Pianeta were called in the same way as the planets of the solar system in Italian. Back in the old days ancient Rome gave names to the planets calling them after its gods. We used this as an additional semantic element, emphasising on the perception of different varieties of Pianeta. The main color of the brand is black; its combinations with white and bronze colors model the space environment. 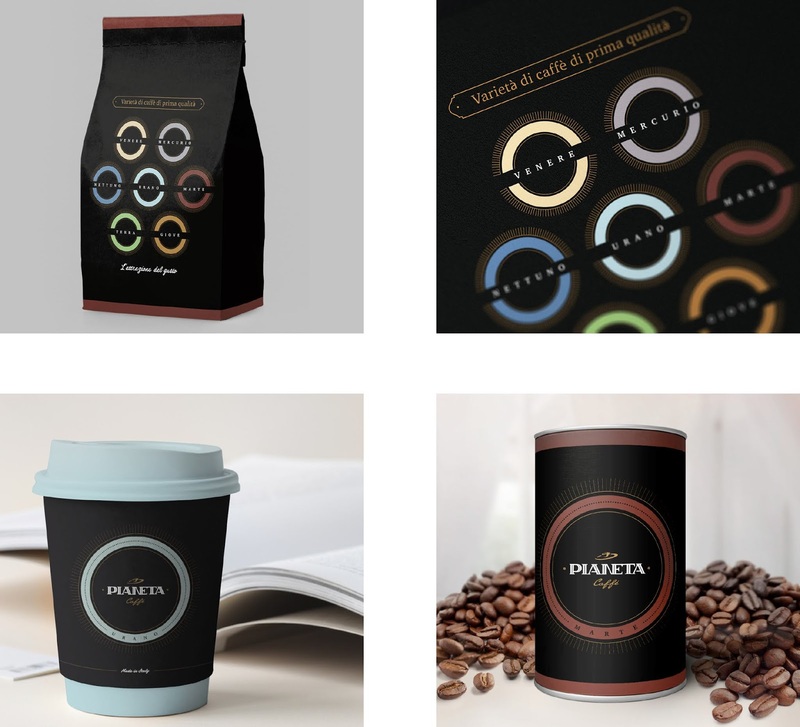 The varieties of coffee have their own additional color indication corresponding to the name of the celestial body and to the character of the ancient deity. As we know from the course of physics (remember the case with Newton, when an apple fell on his head? ), every planet in the universe has the attraction force or gravity. Therefore, for the brand, we suggested and approved the following slogan: L'attrazione del gusto (Italian – Gravitation of Taste).